As the NCAA tournament continues, we are seeing a lot of college mascots cheering on their team. However, there are a slew of mascots all over the country that are a little off-beat. Here are some of the weirdest mascots from around the country. Like many other schools the North Carolina School of the Arts decided to let their students decide when it came to choosing a mascot. Apparently as a joke the Fighting Pickles was suggested and won the contest in 1972. The pickle has remained their mascot till this day and is still one of the most outrageous mascots in college sports. 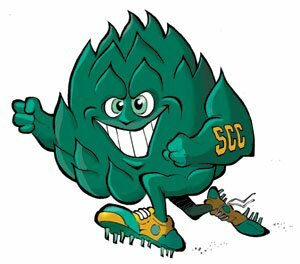 Similar to the Fighting Pickles, the Scottsdale Community College Fighting Artichokes was chosen through a contest by the students. Selected in the 1970’s the students used the odd choice as protest to the school administration. Many students were furious with them for giving scholarships to out of state athletes that are were meant to be given to Native Americans. I think they made their point. University of Arkansas at Monticello tops the list because of how strange and rather gross its mascot is. The Boll Weevil is an insect that is the number one enemy of cotton farmers all over the United States. Even though it is quite unusual, I guess it might be seen as intimidating especially if you are a cotton plant. Like the University of Arkansas at Monticello, The University of California-Santa Cruz is on the list because of their choice of a very small creature as their mascot. Banana slugs are bright yellow slugs with no shell that live on forest floors and are not a likely choice to represent a school. The students chose this seemingly harmless mascot to protest the serious athletic competition that other schools promote. Indiana Purdue University at Fort Wayne secured a spot on this list by choosing an extinct prehistoric animal as their mascot. A mastodon looks like a large elephant with lots of hair and long tusks. 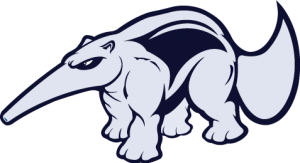 The mastodon became their school mascot after the student body president dared the students to be different and choose an unusual mascot. Webster College Gorlocks makes the list by taking the mythical route with their mascot. A Gorlock is a made up creature that was designed by students at the school and entered into a contest. It is said to have the horns of a buffalo, paws of a cheetah, and the face of a Saint Bernard dog. Evansville College’s Purple Aces mascot can be credited to the University of Louisville’s basketball coach. During the mid 20’s the coach said after getting beat by Evansville, “you didn’t have four aces up your sleeve, you had five!” The “Aces” nickname stuck and Evansville now has a mascot that closely resembles a pimp in a white and purple suit. The University of Hawai’i Manoa mascot is one that really threw me for a loop. The “warrior” part of the name is strong and common for a mascot; however the “rainbow” part is the complete opposite. The physical mascot however makes up for the name when he appears at the sporting events as a traditional Hawaiian warrior, adorned in tribal wear. Although animals are commonly used as mascots, anteaters are not. The University of California-Irvine got their inspiration from a comic strip by Johnny Hart which featured an Anteater during the 1960’s. These days Peter the Anteater is looking pretty tough with his bulging muscles, jersey, and sweat bands. When you think about what the Stony Brook University Seawolves mascot might look like you may picture a cross between wolf and fish like I did. The Physical mascot Wolfie appears to be all wolf but it turns out that Seawolves are a mythical sea creature. According to legend it can bring you good luck if you see one. Ohio Wesleyan adopted their new mascot in 1925 due to the fact that there were quite a few other Methodist Colleges in the area and they wanted to stand out. Originally just “The Red and Black,” they hosted a contest in order to select a new name. The “Battling Bishops” ended up winning and makes the list due to the oxymoron the name seems to be. Similar to the Battling Bishops the Providence College Friars are included in this list because of their religious nature. Providence is a private Catholic college in Rhode Island, so it makes sense that they are a religious bunch. The physical Friar mascot closely resembles Friar Tuck from Robin Hood sporting a round belly and big smile. The story behind how Trinity College became the Trolls is one that has many variations. The first is that in 1959 students took the letters in the word “Troll” out of the words “Trinity College.” Another theory is that the president of the time wanted to find a word starting “tr” that flowed perfectly with “Trinity.” Lastly some stories tell of Troll sightings in the area, so who really knows! I think Wabash College was on the right track when it decided on the Giant for their mascot; however what I don’t understand is adding the “little” part. 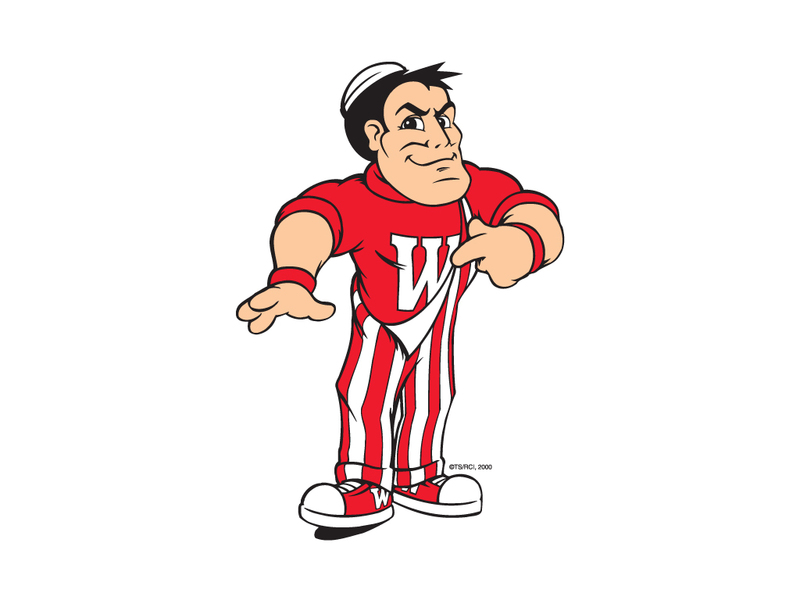 Wabash College is an Indiana school for men that have 11 teams and 23 intramural sports. Some say they might have gotten the idea from the movie Little Giants but no one knows for sure. If so, Rick Moranis should be pretty upset! Named after the famous poet John Greenleaf Whittier, the Whittier College Poets are not the most fearful of the bunch. Johnny the Poet is the official mascot and represents its 21 sports teams. This peace loving poet is not high on the intimidation factor but makes up for it with his scowling face and large fountain pen. Northern Arizona’s Lumberjack mascot is not that strange but it doesn’t seem to fit the state. When I think of Arizona I think of a desert climate with tumbleweeds and cactus. After some research I found that it is actually home to quite a few forests that support local logging businesses. Can’t get enough weird college mascots? Make sure and check out the Mascot Rumble on the eCampus.com Facebook page! This is a guest post from our PR Intern Chelsea. Many thanks to her! 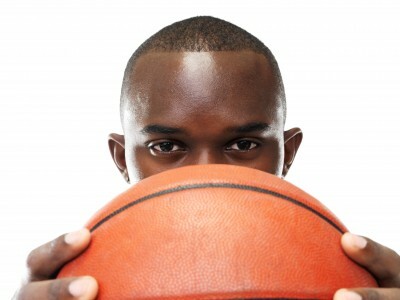 The Men’s NCAA Basketball Tournament is in full swing and it is time to get excited! Every year we watch in anticipation to see which team will earn the title of National Champion. But when did this all begin? Who was the first team to claim this prestigious title? We did some digging and found the answers for you! The first NCAA college basketball tournament, which is now known as March Madness, was played in 1939. That means there have been 72 National Champions so far. It was organized by the NCAA but actually held by the National Association of Basketball Coaches. It is said that the idea was originally presented by Ohio State coach Harold Olsen. The first tournament only had eight teams and was hosted at Patten Gymnasium in Evanston, Illinois. The first National Champion was the University of Oregon Ducks. Prior to 1975, only one team per conference we allowed into the tournament. However, after highly ranked teams such as South Carolina, Southern Cal, and Maryland were not permitted to play, the NCAA began to place highly-ranked teams in the tournament not just the conference winners. Although there currently are no consolation games, there was a third place game played from 1946-1981. It was not until 1985 that the NCAA expanded the tournament to include 64 teams and in 2011 they expanded the field again to include 68 teams. The tradition of cutting down the net after a team has won the National Championship game began in 1947 when the coach of North Carolina State, Everett Case, stood on his players’ shoulders to cut down the net after winning the championship game. 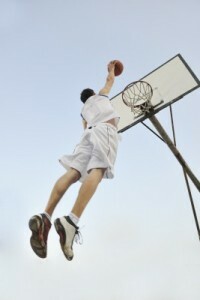 In 1967, the slam dunk was made illegal only to be brought back in 1976. In 1986, the three-point field goal was introduced with the three-point line set at 19 feet, 9 inches from the center of the basket. Now that you are all brushed up on your NCAA Tournament history get ready to cheer on your team! March Madness is upon us, and as we flick on the TV and colleges campuses all around the country fill up the bleachers with screaming fans, it seems only fitting to take a look beyond the court and see who is cheering these teams on. While the outfits of the fans can be fun to watch, it’s usually the furry friends that take center stage. I’m of course talking about the team mascot! The school’s mascot says a lot about the spirit and enthusiasm of a team. They are the ones who help rile up a crowd and often have their name and face plastered all over a campus. So which mascots would the paparazzi be lining up to capture a shot of and which ones are a little, how do you say, out of the ordinary? From Wildcats to Trolls, Bulldogs, and Gophers, there are mascots out that will make you laugh, and some that will no doubt leave you scratching your head. Let’s start with the front-runners of this year’s tournament and teams that are predicted to go far. Could you name their mascots? Do you think you’ve ever heard of them, or could guess if someone made you try? If not, here is your chance to catch up. Feel free to jot down notes—stump your friends with new trivia! The Kentucky Wildcats. The University of Kentucky has enthusiastic and obviously athletic students. Their fans are often referred to as the Big Blue Nation. Wildcats are a popular mascot—Kansas State is also home of the Wildcats, but the obviously prefer purple and white! Syracuse is another team that is on the “watch list” for this year’s games. They are looking fresh and are ready to roll, coincidently so is their mascot—Otto the Orange! It may seem odd, an orange for a mascot, but you couldn’t ask for a brighter or healthier friend to cheer you on! The Missouri Tigers are also roaring and ready for ball time. The home of Gold and Black have fans that are almost as fierce as their players and are sure to bring some tiger heat to the court! Have you ever been to North Carolina? If you have I’m sure you’re familiar with the North Carolina Tar Heels. Their mascot is big horned Ram, Rameses. He has big ram muscles, a jersey and a huge following of fans. If I must say so myself, he looks great in blue! I’m quite partial to the next team. The Kansas Jayhawks. I’m a Kansas girl, and have a brother who went to KU. And if you must know I still walk around wearing my 2008 National Championship shirt. I’m a La Salle Explorer now, but that won’t stop me from loving the Jayhawks through and through. So what other reputable mascots are out there? Well of course there are the Duke Blue Devils, the Butler Bulldogs, and another family favorite—the Georgetown Hoyas, with “Jack the Bulldog” as the mascot. Some mascots aren’t as mainstream, in fact may not have ever realized what they were! Trinity College is home to the Trolls. And then there’s Whittier College, home of the Poets— Do you think they all have the gift of rhyme? Concordia College is home to the Cobbers. Their mascot is a human sized cob of corn, again a very healthy choice. You know for sure their students are getting their full serving of vegetables—whether they happen to be real or school spirit driven! Stanford University doesn’t have an “official” mascot, but their adopted cheerleader is the Standard Tree. It’s said that it even changes its leaves with every season! Mascots can be the heart and soul of a campus, or just a figment of every student’s imagination. Whether your mascot is well known, or locally loved and cherished, each character or symbol tells a story and showcases a little of what makes your school unique! Here’s hoping we seen a wide range of these guys on the sidelines this March!